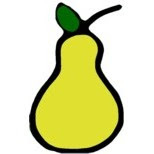 We at PEAR fully support the 2015 Adoptee Citizenship Act (S.2275). This Act is a critically needed piece of legislation pertaining to the lives of thousands of adults who were brought to the US for adoption as children, were never fully naturalized as citizens by their adoptive parents, and then fell through the cracks of the Child Citizenship Act of 2000. These adults now face risk of deportation and cannot fully participate as citizens in U.S. society: they cannot vote or obtain passports, and often face difficulties in opening bank accounts, securing financial aid, obtaining a driver's license, joining the military, obtaining marriage licenses, and finding jobs. The 2015 Adoptee Citizenship Act closes the loophole created in the Child Citzenship Act of 2000, which failed to include those over age 18 at the time the Act came into effect when granting automatic citizenship. While the Act does not resolve all citizenship loopholes for internationally adopted adults, it is a major step forward in equality and justice for many. As always, PEAR suggests that individuals exercise caution and restraint in making decisions and taking any action in support or opposition to any legislation until they have fully educated themselves on the purpose and impact of it. We recommend that you read the actual bill, the current laws it will change, and the opinions of a variety of commentators, both for and against any legislation.